In honor of Breast Cancer Awareness Month, King of Prussia Mall partnered with the Philadelphia chapter of Susan G. Komen to host a Survivor Shopping Spree, according to a press release from the mall. 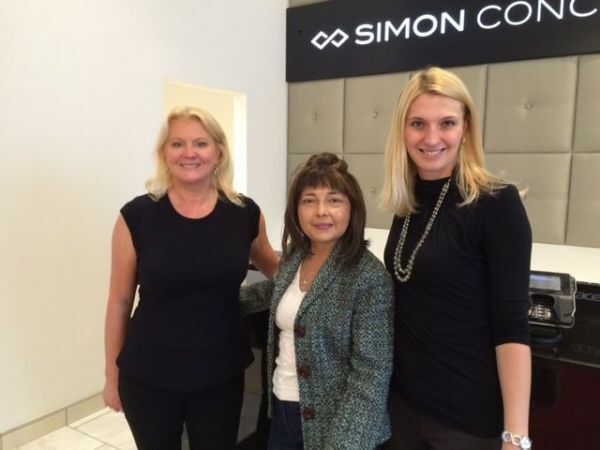 On Saturday, October 8, survivor Vivian Ortiz visited King of Prussia Mall where she was presented with a Simon Giftcard in "celebration of her strength, goodwill and contributions to the local community," the release states. Ortiz is a member of the Susan G. Komen Metastatic Breast Cancer Committee and is dedicated to helping other women with metastatic breast cancer find support and strength. Throughout October, the mall said they will be teaming up with Susan G. Komen in the fight against breast cancer by hosting several events. A More Than Pink Hero Wall will be established, where for a $1 donation visitors can pay tribute to their heroes. The mall will also be offering those who donate $10 to Susan G. Komen a special discount card with exclusive promotions and sales from participating retailers, the press release states. Image courtesy King of Prussia Mall.